After ten years in the ski and hotel/hospitality business, teaching skiing, working for the Rossignol Ski Company and Warren Miller Films in promotions and marketing - Michael joined Stowe Mountain Resort in 1994. The resort is widely recognized as a prestigious World Class destination among winter enthusiasts and summer visitors. 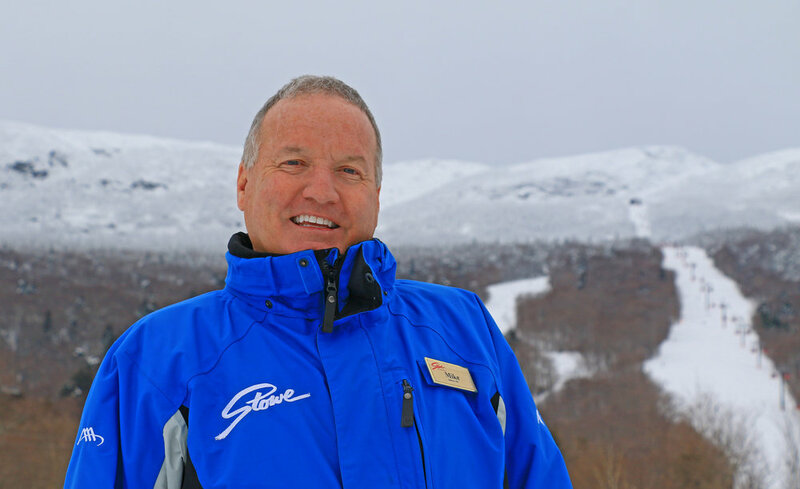 At Stowe Mountain Resort, Michael is focused on the evolution of the resort marketing, communications, sales, product mix, social media, guest experience, and business strategies. Stowe has recently completed a ten year, $700+ million multi-faceted development project that includes: A brand new Children's Adventure Center, new lifts and snowmaking, a 318 room 4 star hotel [Stowe Mountain Lodge and Spa], Stowe Mountain Club, Spruce Peak Village Center, the Spruce Peak Performing Arts Center, several new dining locations, Spruce Camp base Lodge, Summer TreeTop and ZipTour Adventures and a 36 hole golf destination - Stowe Mountain Golf Club and Stowe Country Club.